For most people, sunlight is a major source of vitamin D. It is also found in foods such as fish, eggs and fortified milk, as well as pills and drops. Vitamin D helps the body absorb calcium to keep bones dense, and helps maintain a variety of metabolic functions. Doctors are testing more patients in the general population for vitamin D deficiency as research connects the nutrient to more important functions. Debate continues about how much vitamin D is best, even after the nonprofit Institute of Medicine in 2010 tripled the minimum recommended daily intake to 600 international units (or 800 IU for those over age 70). That is equivalent to six cups of fortified milk. But some sports dietitians say athletes should get at least 1,000 to 2,000 IU of vitamin D daily through food, supplements or both. The Institute of Medicine recommends no more than 4,000 IU of vitamin D daily to avoid potential risks, which include a calcium buildup in the blood, which can disrupt appetite and cause nausea and vomiting. Taking 50,000 IU a day of vitamin D for months can cause toxicity but such cases are rare, according to a 2015 study published in Mayo Clinic Proceedings. Some teams also test athletes for other nutrients such as iron and magnesium to make sure deficiencies aren’t slowing them down. Ms. McDowell aims to get her hockey players’ vitamin D levels between 40 and 80 nanograms per milliliter. Many players show up to training camp with vitamin D levels in the teens, she says. How can you get vitamin D? Through certain foods such as fatty fish and eggs, or sun exposure. More than 1 billion people world-wide are estimated to have insufficient or deficient vitamin D levels. Who’s at risk? People at higher latitudes and in colder climates such as the northern U.S. and Europe are at risk because of their lack of sun exposure. Those with darker skin are at risk because pigmentation slows vitamin D production in the skin. Those who are older, overweight or obese also are at higher risk. How much is necessary? The Institute of Medicine recommends 600 International Units (IU) daily for most adults (800 IU for those over 70). That’s equivalent to six cups of milk, most of which in the U.S. is fortified with 100 IU. Some sports dietitians encourage athletes to get 1,000 to 2,000 IU daily. Adults should not take more than 4,000 IU daily, the IOM says, though vitamin D toxicity is rare. What are the risks of vitamin D deficiency? Low D levels have been associated with higher risk for diabetes, heart disease, many cancers and bone loss, among many other conditions. An adequate vitamin D level for the average person is between 20 and 50 ng/ml, with a level over 50 potentially producing adverse effects, according to the IOM. But some experts have said the bottom end of that range is too low, and the Endocrine Society recommends maintaining a level between 40 and 60 ng/ml. 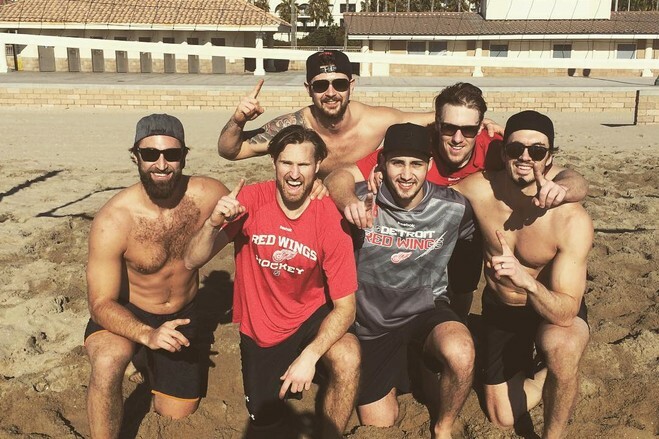 Red Wings players get little sun due to the team’s Midwestern locale. Ms. McDowell encourages players to spend time outside when the team plays in California so they can soak up vitamin D.
Only a handful of studies have focused on elite athletes and vitamin D. But a few larger studies of military populations have drawn a link between vitamin D levels and injuries. 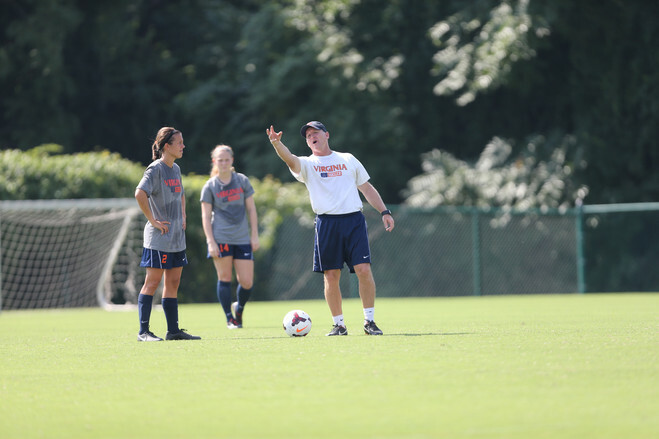 One study, of more than 5,000 female U.S. Navy recruits, found a 20% drop in stress fractures after recruits received doses of calcium and vitamin D.
The University of Virginia has made 2,000 IU vitamin D supplements available to all of its athletes for at least the past six years, says Randy Bird, director of sports nutrition. It is the only vitamin he encourages every athlete to take, he says. Even the University of Southern California, where sunshine abounds, checks its varsity athletes’ vitamin D levels annually. Despite all that sun, more than one-third of 223 USC athletes tested for a study published in 2015 had insufficient vitamin D levels. Some USC athletes’ low vitamin D levels, along with conversations about player tastes, spurred a surprising addition to the athletic department’s food offerings: Frosted Flakes. It’s fortified with vitamin D. Along with vitamin D-fortified milk, it provides quick fuel for morning workouts and an important dose of the nutrient, says Becci Twombley, USC’s director of sports nutrition. “After we put Frosted Flakes out, their vitamin D levels were much better,” she says. USC aims to get athletes to consume 1,000 to 2,000 IU daily of vitamin D through foods, including yogurt and fish, but provides vitamin D supplements for players who need them, she says. The USC study, along with those of the Giants and Steelers, showed African-American athletes tend to have lower vitamin D levels. Athletes with darker skin are at higher risk for D deficiency because pigmentation slows vitamin D production in the skin. Researchers are still exploring how race affects vitamin D levels. That is an important question in leagues such as the National Basketball Association, where a majority of players are African-American, says Elliott Schwartz, former physician for the Golden State Warriors. In that team’s training camps of 2007, 2008 and 2009, between nine and 12 of 16 players tested vitamin D insufficient and were given 5,000-IU supplements daily, Dr. Schwartz says. Dr. Schwartz, founder of the Northern California Institute for Bone Health and a physician for the Oakland Athletics, still tests and treats dozens of injured pro athletes for vitamin D deficiency. Yet he says the evidence isn’t overwhelming that vitamin D helps prevent injury.